Argo Group International Holdings, Ltd. (“Argo Group”) has filed a preliminary proxy statement and WHITE proxy card with the U.S. Securities and Exchange Commission (the “SEC”) in connection with its solicitation of proxies for its 2019 Annual General Meeting of Shareholders (the “2019 Annual General Meeting”). 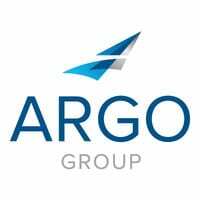 ARGO GROUP SHAREHOLDERS ARE STRONGLY ENCOURAGED TO READ THE DEFINITIVE PROXY STATEMENT (AND ANY AMENDMENTS AND SUPPLEMENTS THERETO) AND ACCOMPANYING WHITE PROXY CARD WHEN THEY BECOME AVAILABLE AS THEY WILL CONTAIN IMPORTANT INFORMATION. Shareholders may obtain the proxy statement, any amendments or supplements to the proxy statement and other documents as and when filed by Argo Group with the SEC without charge from the SEC’s website at www.sec.gov.